Maveeran was produced by Telugu star Krishna’s Padmalaya Pictures and co-producers are Super Star Rajni and K.R. Hence in the title, it was shown as RK productions. The city rights was given to Jayaprada film circuit and NSC was taken care by KR movies. This movie was directed by Rajashekar. He is one of the favourite director of Rajini and Kamal at that time. Rajini and Kamal trusted so much on him and produced their own films by requesting him to direct Maveeran and Vikram respectively. Initially, Sivaji Ganesan was supposed to do the role of Dara Singh(Rajini's father). Sivaji Ganesan image was present for the Maveeran first advertisement at all leading newspapers. However, Sivaji rejected this offer to prevent unnecessary clash between Rajini and Sivaji fans which happened for Viduthalai movie. Viduthalai was also released on the same year 1986. This was the first 70MM movie in Tamil filmdom. First time, 6 Track Stereo Phonic sound is used by Illayaraja for this film. It was remade from Superhit Hindi film Mard. Maveeran was released on 1 Novemebr 1986 (Diwali Release). At chennai, it was released at Sathyam, Sangam, Maharani, Kasi, Vasanthi and Sri Brinda. Director Rajashekar did very good job especially song picturization when compared to Mard. Normally the film re-recording would take about 3 to days. But Rajashekar spent two weeks with Music Director Illayaraja and completed the recording as per his satisfaction. The title song “OTHUNGU OTHUNGU” is still popular same like as POTHUVAGA EM MANASU THANGAM in Muratukalai. Regarding the Maveeran collections, Director Rajasekar had told in several interview that it did not incurred any loss to the producers and distributors. They made decent profit at all areas and moreover the film was record run in B & C centers. Punnagai Mannan managed to do better than Maveeran especially at A centers and Maveeran fared well at B & C centers. For example, Punnagai Mannan was released in Poonamalle Bagavathy Theater which ran only 18 days. The average report movie Maaveeran was released in Poonamalle Sundar Theater which ran 42 days. The film did record collections at Vizhupuram Muruga Theater (50 days) and Mettur Karpagam Theater (50 days). The distributor bought it for 16,000 and made nearly a 1 lakh rupees collection. Some of the small towns, the film did record run and the fans clubs invited director Rajashekar to present the shields especially Trichy areas. At Trichy Maris Theater, it ran 90 days and shifted to another theater and ran until 101 days. At Chennai, the film ran 91 days in Vasanthi Theater. Maveeran was removed from Sathyama theater on the 49th day. Punnagai Mannan, Palaivana Rojakkal and Aruvadai Naal managed to touch 100 days. Superstar attended Punnagai Mannan 100 days function and praised Kamalhaasan's acting which was making waves in tamil media. KR the distributor and producer of this film had shared his experience about the release of Maveeran and how he handled the problem for the movie release. "The film was produced by Padmalaya studios. 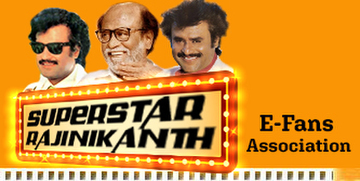 Rajini sir and myself were the co-producers of this film. Since the film shooting was completed without any disturbances, we have decided to set for 1986 diwali day. I had decided to screen a premier show at Sathyam theater and the collection amount was proposed to be given to the Chengalpet Distributors Welfare. But last minute, the film rolls were locked in the lab and the authorities were not ready to release the box. When I enquired the issue, they told that Padmalaya Productions has owned huge sum of money for their previous movie and therefore they will not release Maveeran film box box until this amount is settled. Rajni got tensed and he came to me and asked me to solve the problem immediately. It became a prestigious issue as we have already advertised the release date. I was having Punnagai Mannan and Thazuvatha Kaigal NSC rights with me and those films were ready for release without any problem. Padmalaya didn't bother to respond at all. Since i was having majority area rights, i needed to take care of this. Hence, i went to the lab and gave a blank cheque and requested them to release the movie immediately. Since i was wearing mala for Sabarimala temple, i didn't make any issues on this matter. At last the problem got resolved and Maveeran was released as planned and we handed over the first show collections to the welfare association accordingly. Rajni sir felt very happy about the way i dealt this matter."